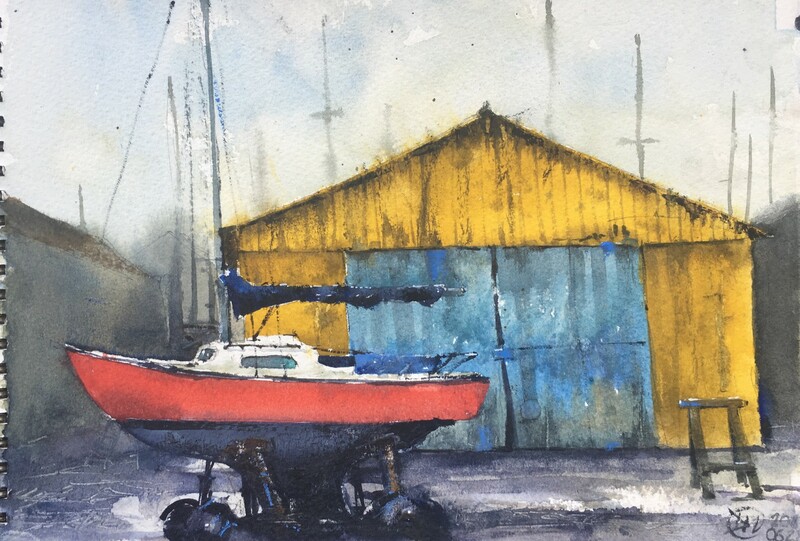 I am delighted that the gallery, ArtQuest in Paimpol has agreed to exhibit 9 of my watercolours during the summer. A big thank you to Jean-Louis Cléret for liking my work. I wish him the best of luck and I hope he sells lots of art including my own of course. Here are some of the paintings which are for sale at ArtQuest. 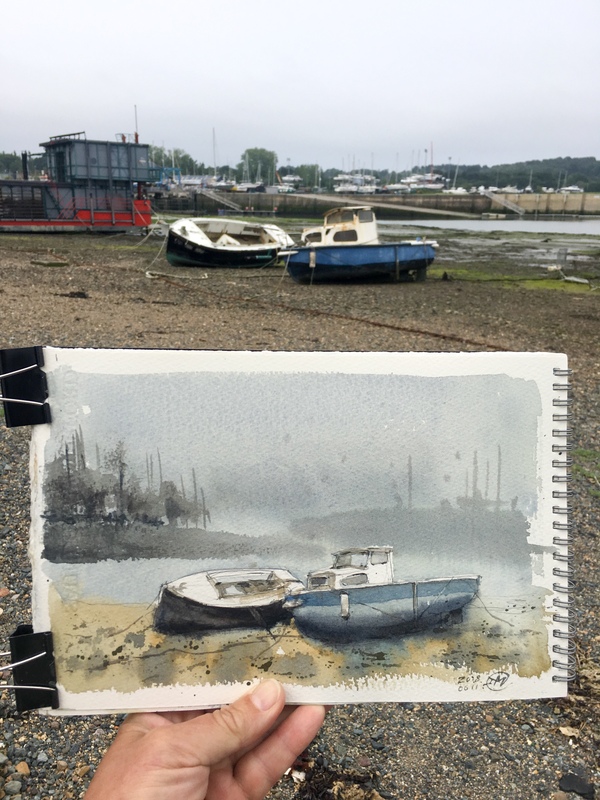 All were painted plein air in the Brittany region. 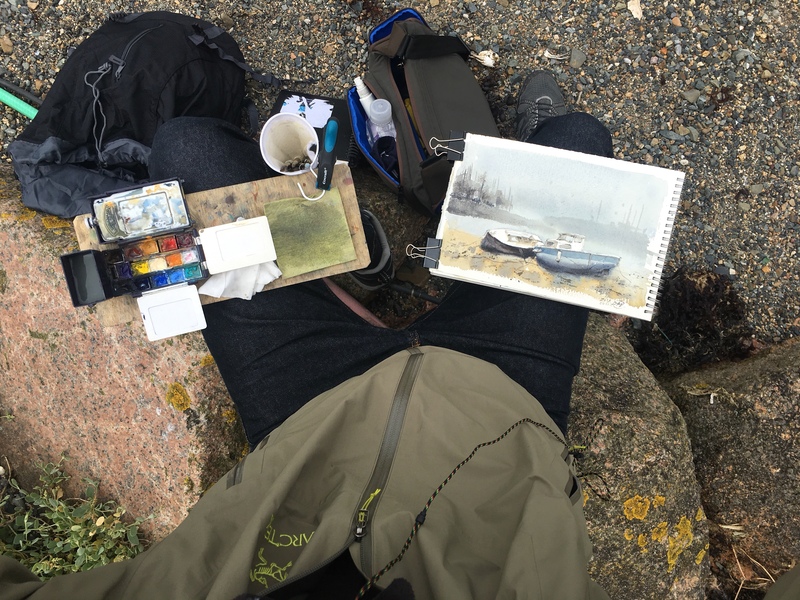 This is not true of course, I will be painting many watercolours of Paimpol and Brittany in the Future. It saddens me that it will be a while before I return. I have taken lots of photographs so I will be painting the town and it’s surrounding area during the winter months. It took me a while to learn that artists mostly sketch and take photos during the summer months, then they work on their studio pieces during the dark winter months. Painted in my Saunders Waterford fine grain 300g 18 x 29 cm watercolour sketchbook. Click image below to view full size.